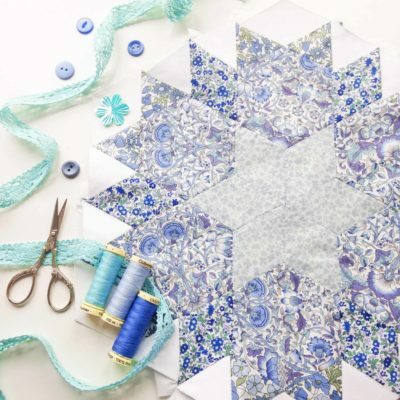 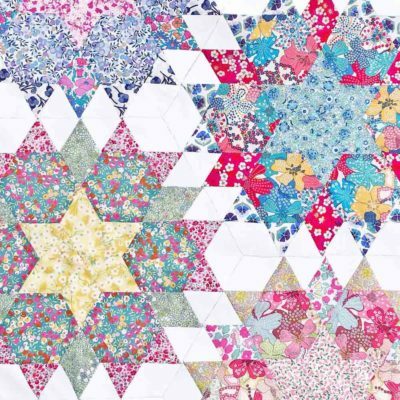 We are excited to launch our ‘Quilt Blocks of the Month’ project for 2019. 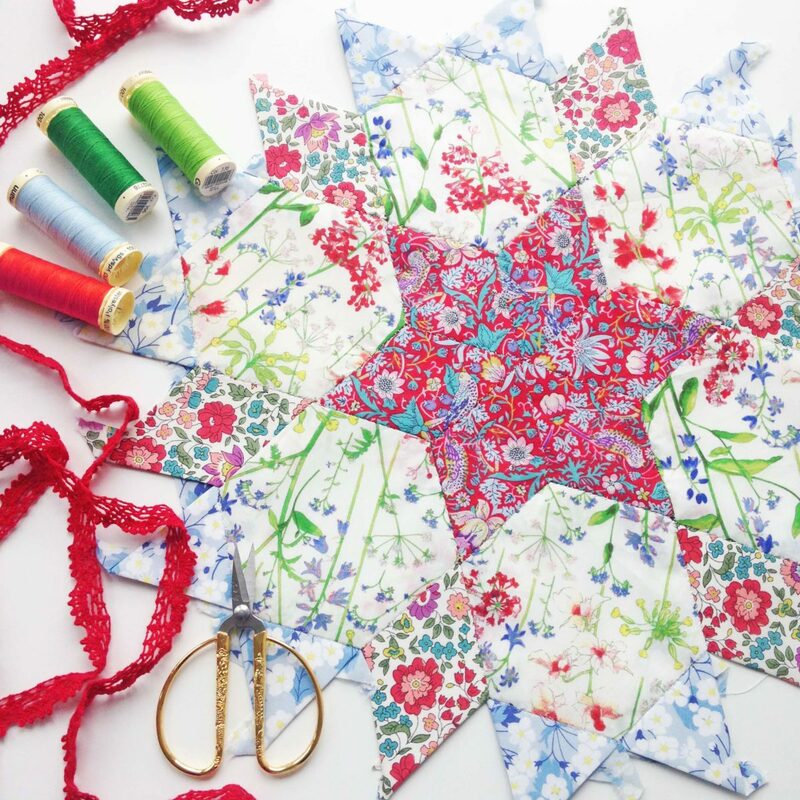 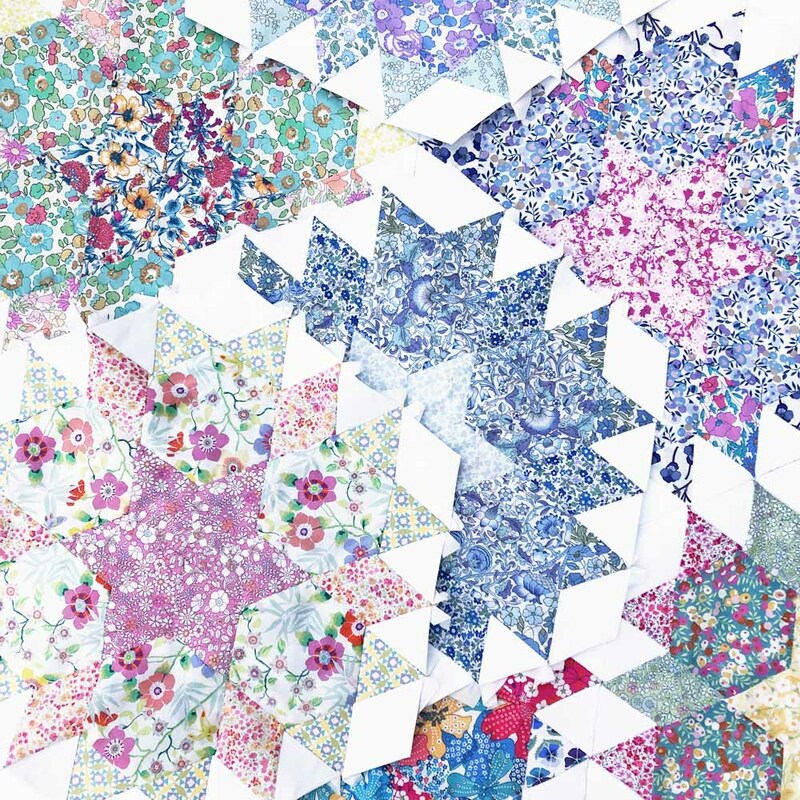 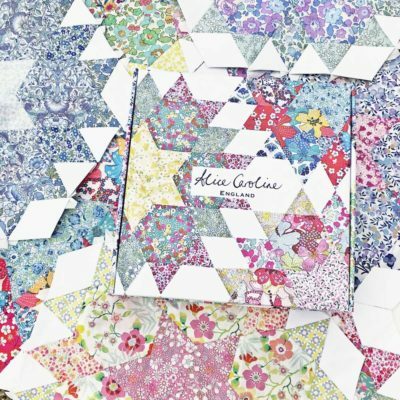 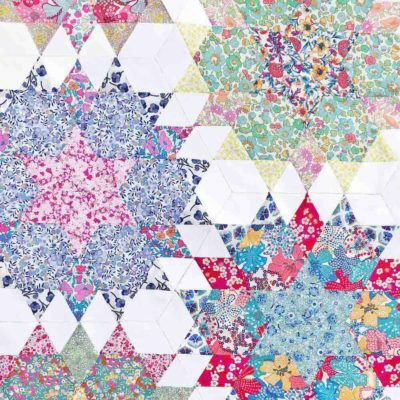 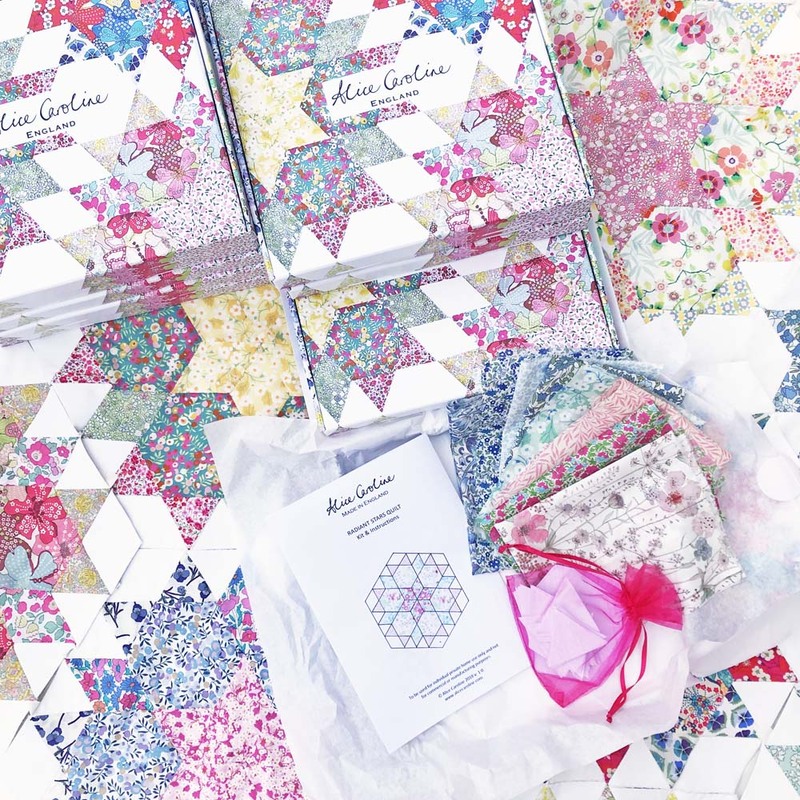 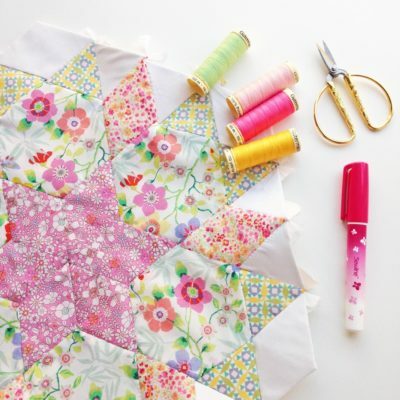 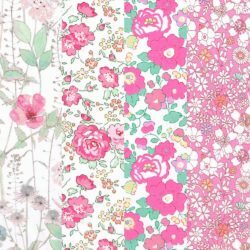 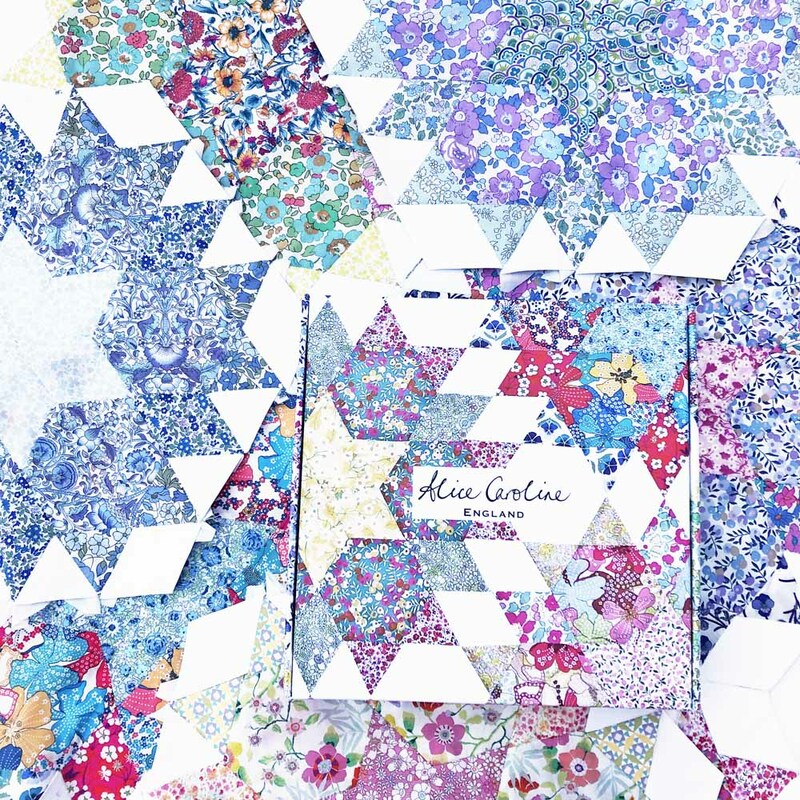 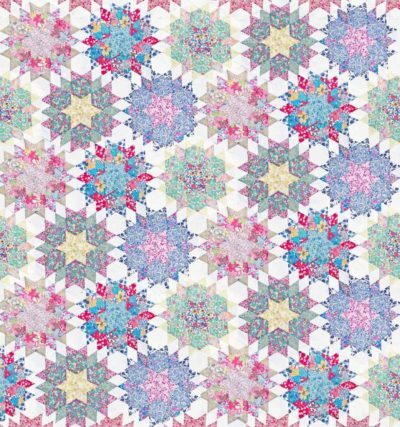 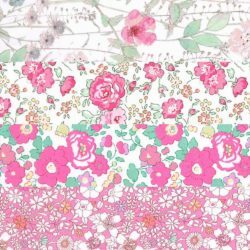 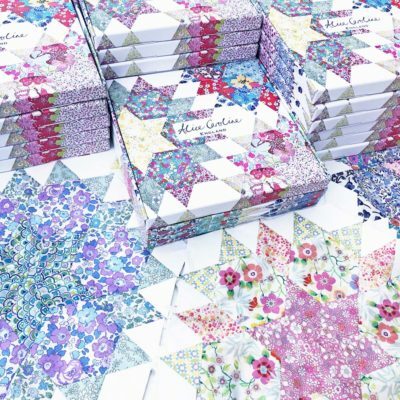 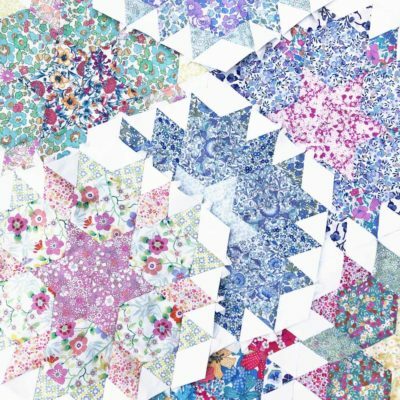 Every month you will receive a beautiful box containing instructions, Liberty Tana Lawn fabrics and pre-cut papers to make two English Paper Pieced (EPP) blocks per month, over 15 months, building into your own gorgeous Liberty quilt. 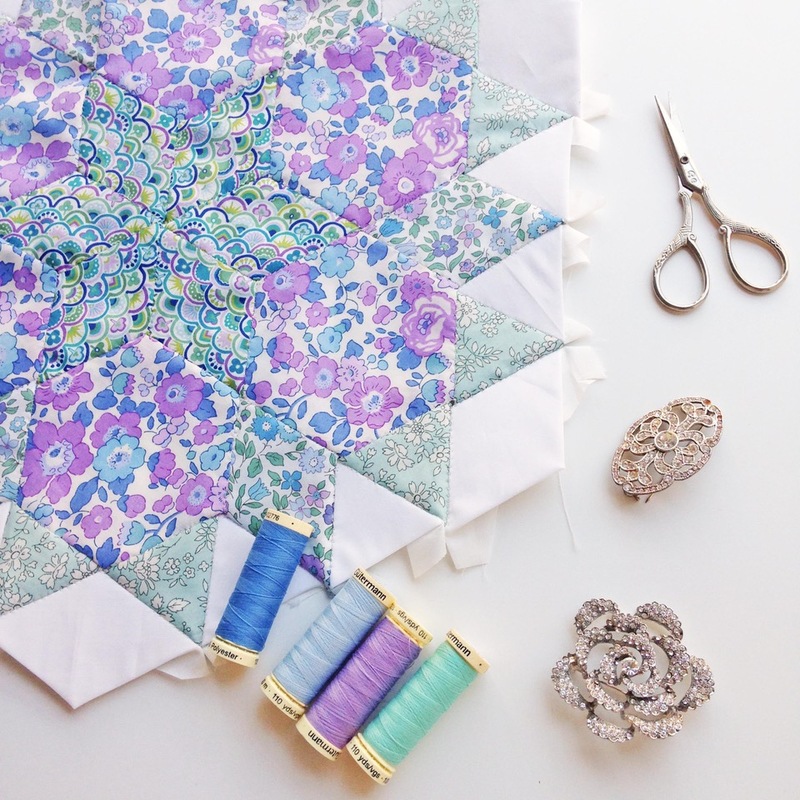 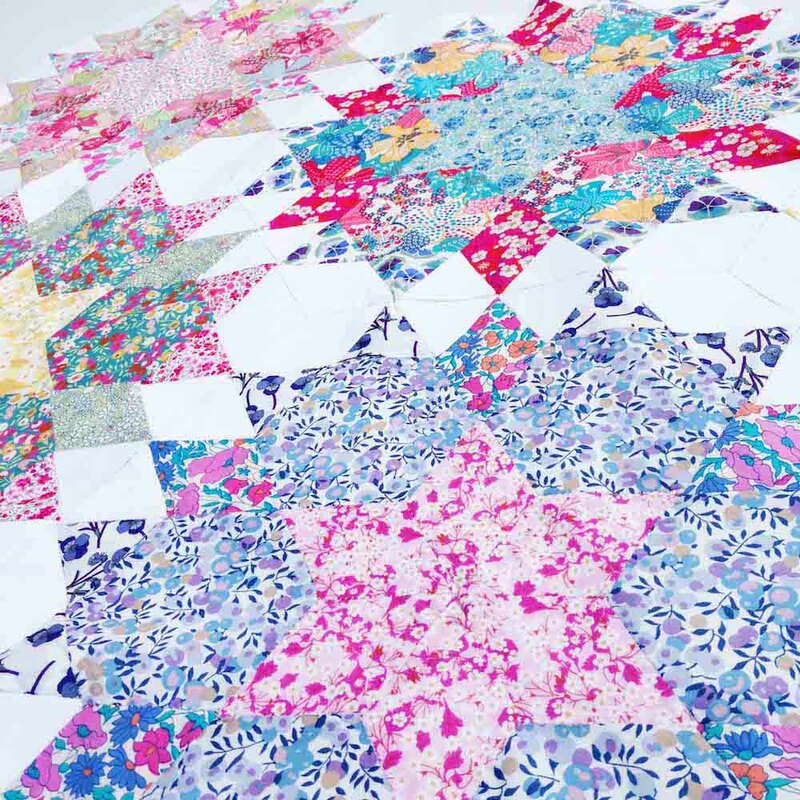 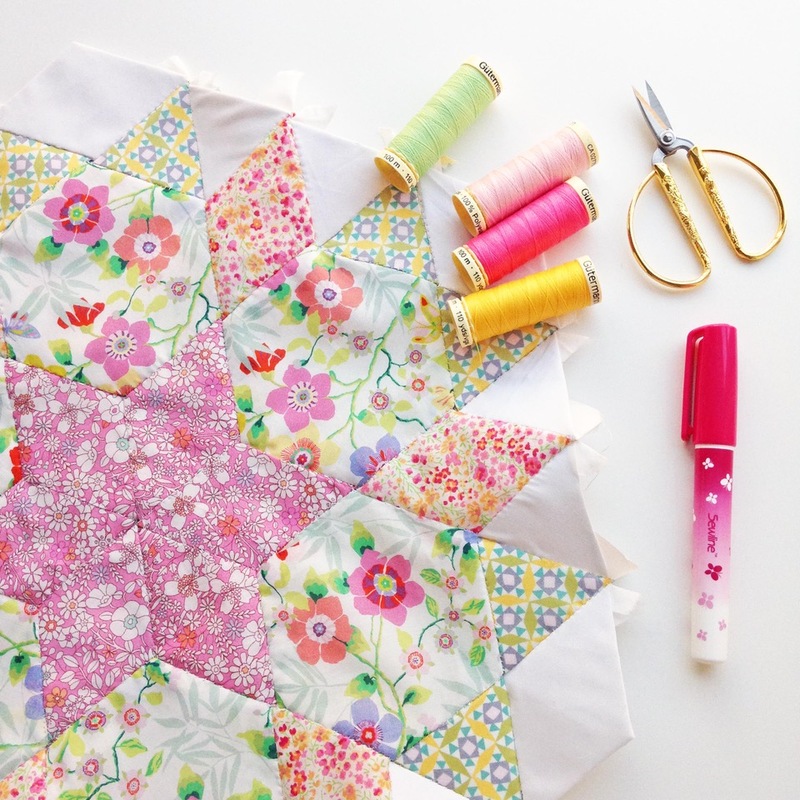 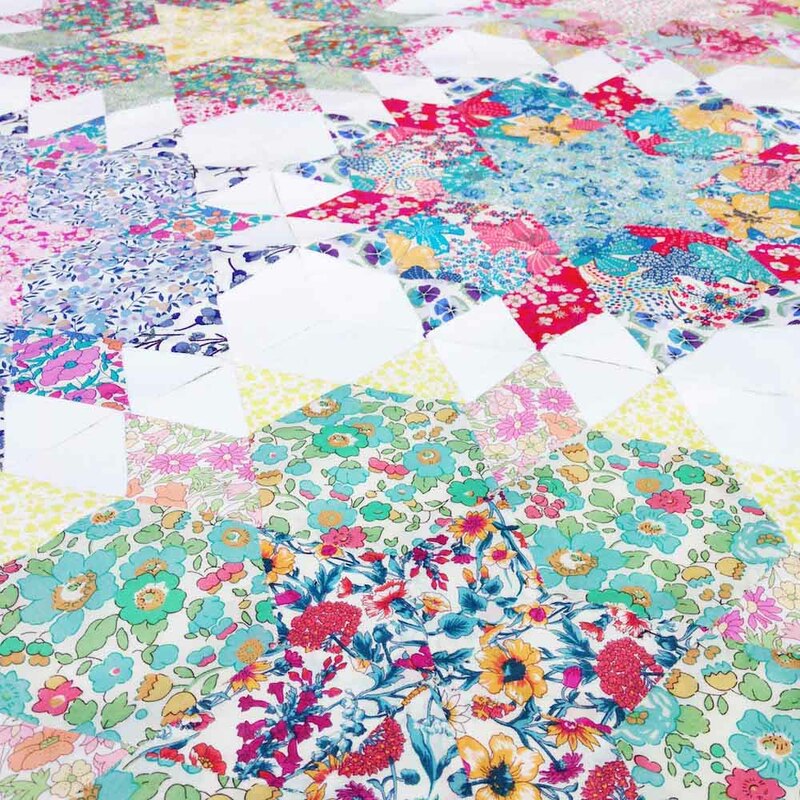 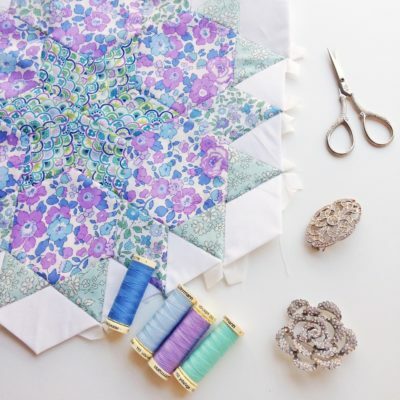 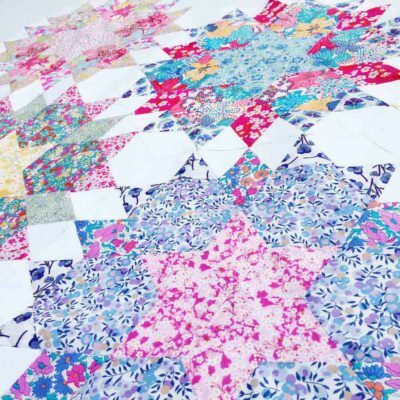 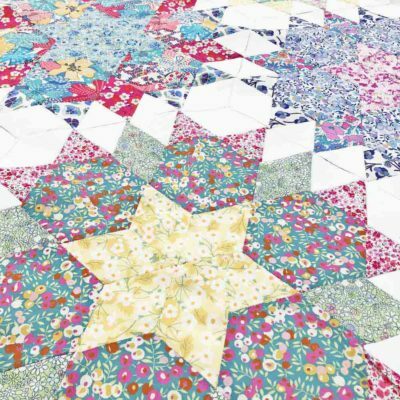 Each block forms a hexagon which then joins together with the other blocks (using white Liberty Tana Lawn) to make the finished quilt. The finished size of each quilt block is 16” x 14” (40cm x 35cm). 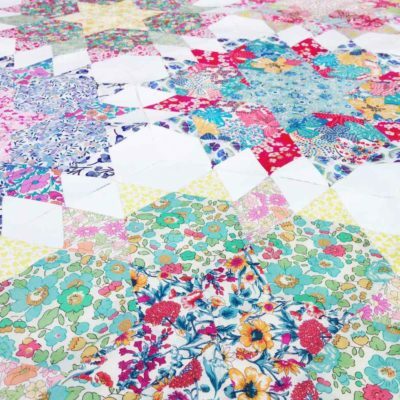 The finished quilt size is 75” x 78” (190cm x 198cm). 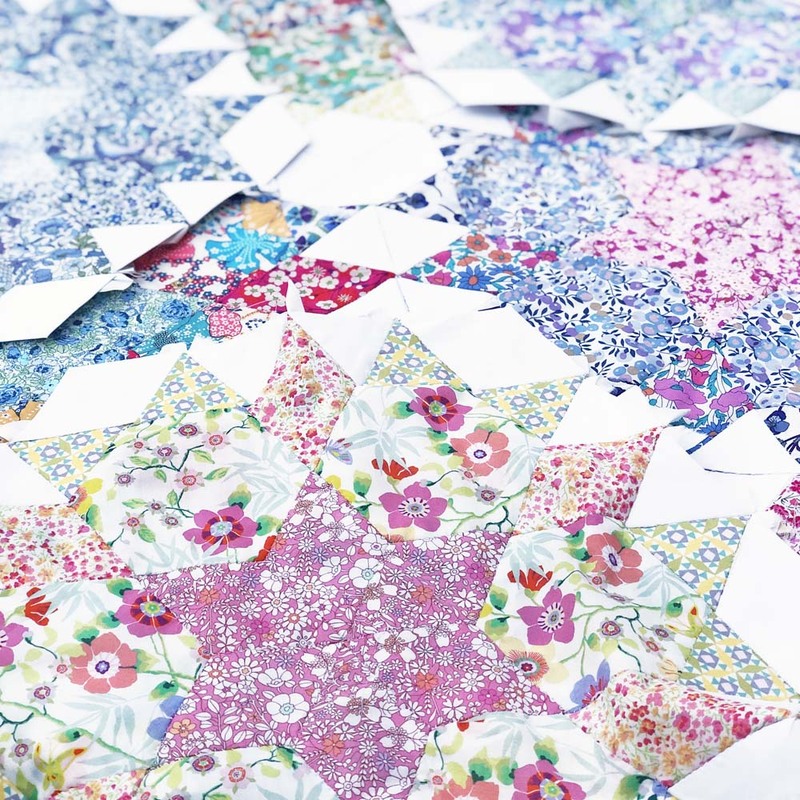 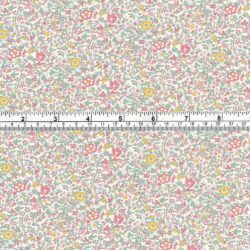 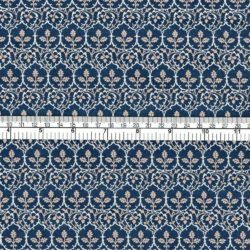 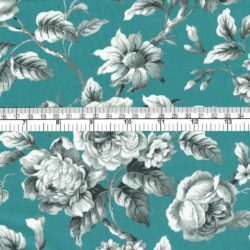 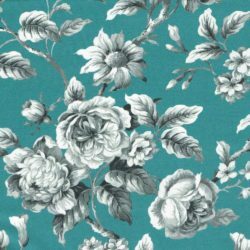 There will be no repeat fabrics between blocks in the whole quilt and you will receive approximately 133 different prints. 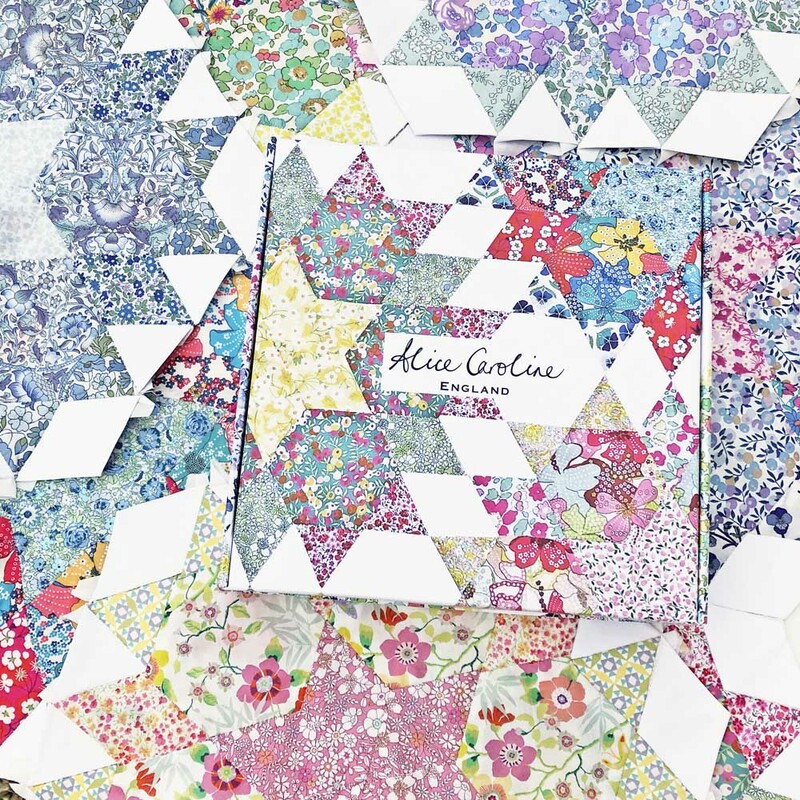 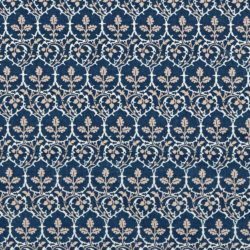 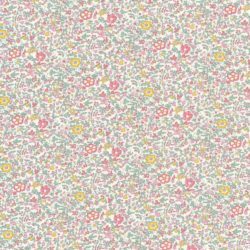 As the months progress we will add in the loveliest fabrics from Alice’s exclusives and 2019’s unique collections. 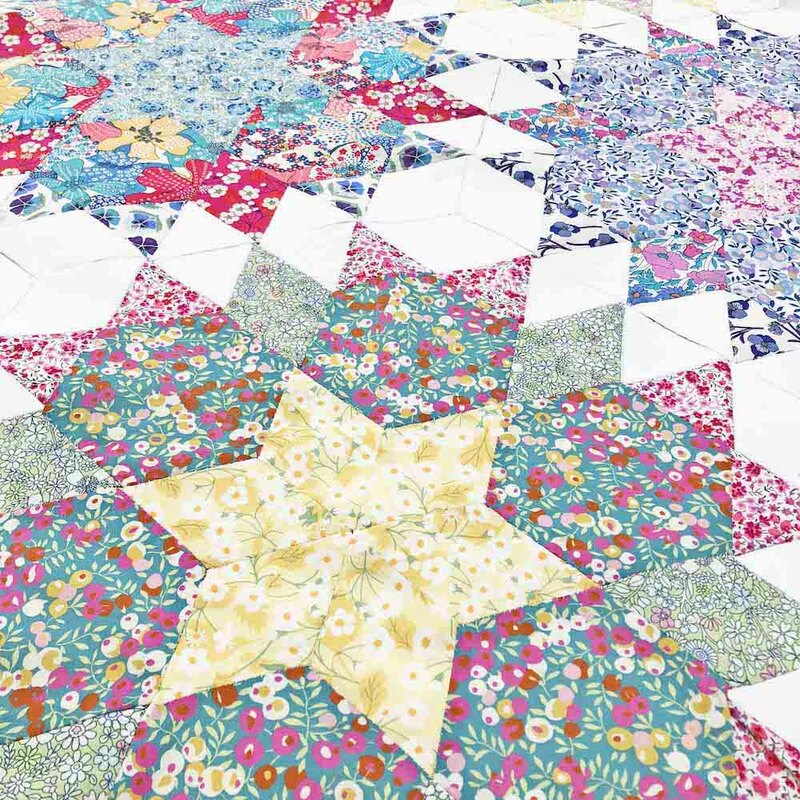 The last image shows a ‘mock up’ of the whole quilt – in your actual finished quilt, every block will be unique. 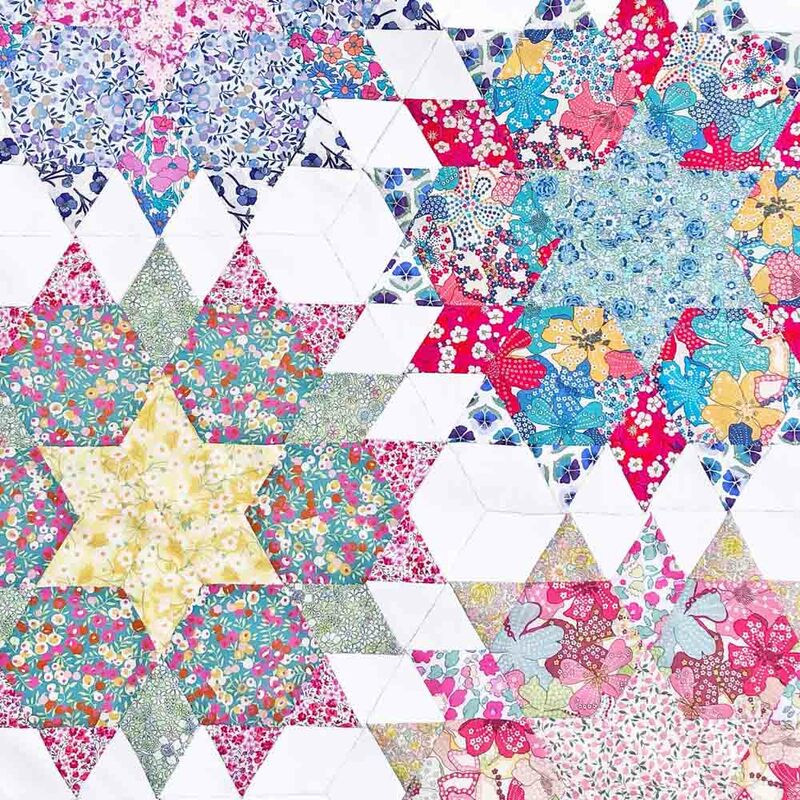 You can view the Radiant Stars Quilt Frequently Asked Questions here.